Mazda Raceway Laguna Seca revs it up this weekend as the 2015 Continental Tire Monterey Grand Prix takes off! This premier road racing series features non-stop racing of Prototype and GT (Grand Touring) styles. Friday-Sunday. 1021 Monterey Salinas Highway, Salinas. General 3-day admission passes purchased in advanced are $75 for adults and free for children 12 and under with a paying adult. Triathletes from around the country culminate at the Lake San Antonio Recreation Area this weekend for the Wildflower Triathlon. 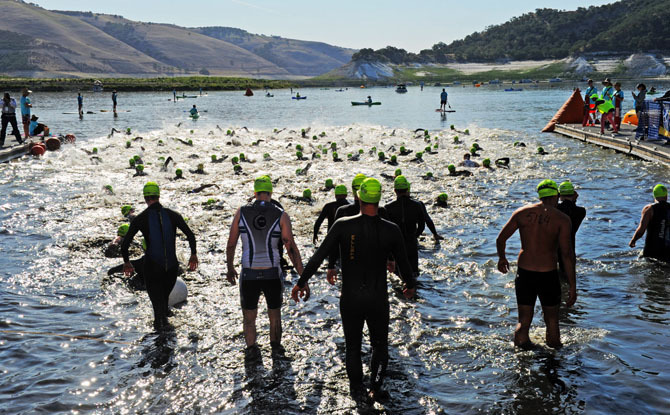 The 3-day weekend is packed with three separate, fiendishly difficult triathlon events, wrapped around a fun exposition and some great camping. Friday-Sunday. 2091 New Pleyto Road, Bradley. Kids and adults of all ages will be mesmerized by the Disney tale of Mulan come to life at the Golden Bough Playhouse. The enchanting and heartwarming performance includes favorite tunes like "Reflection," "Honor to Us All" and "I&apos;ll Make a Man Out of You." Friday and Saturday at 7:30pm and Saturday at Sunday 2pm. Monte Verde between 8th and 9th, Carmel-by-the-Sea. $8-$20. Did you know that Monterey is the "Language Capital of the World?" 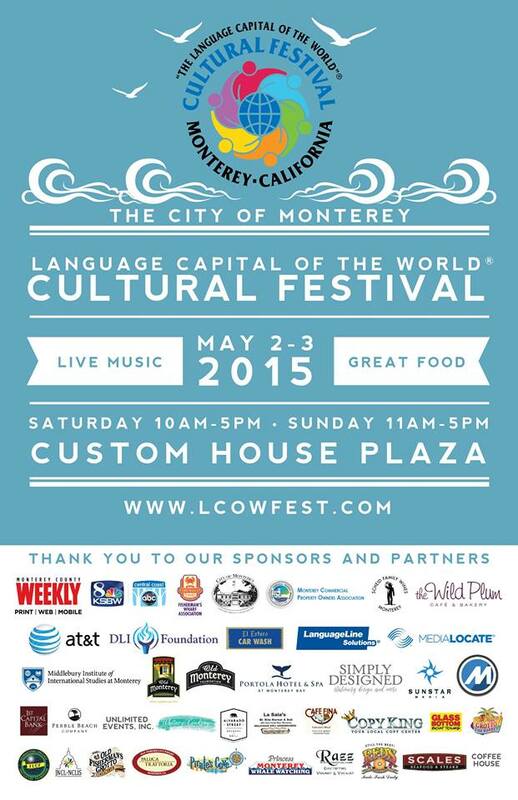 In honor of this prestigious designation Custom House Plaza in Monterey is holding the first-ever Language Capital of the World Cultural Festival! The two-day event features cultural dancing and singing, ethnic foods and crafts, Sister City exhibits, and exhibits from local foreign language institutes. Saturday from 10am-5pm and Sunday from 11am-5pm. 20 Custom House Plaza, Monterey. Free event. Join 35 of California&apos;s best psychic, healers and readers this weekend at the ROTA Psychic Fair. The Monterey County Fair & Event Center hosts the two-day event featuring vendors providing the best products and services for the body, mind and soul. Saturday-Sunday. 2004 Fairgrounds Road, Monterey. $10. Get a sneak peek into the Pacific Grove Museum of Natural History&apos;s newest exhibit, "Illustrating Nature." Tonight&apos;s opening reception will showcase the beauty of scientific illustrations produced by students from the California State University Monterey Bay Science Illustration Program. The exhibit will remain on display until June 14th. 5pm-7pm. 165 Forest Avenue, Pacific Grove. Free event. Love folk and Celtic music? Head to the Sunset Center in Carmel-by-the-Sea for a delightful evening of live music from Cape Breton fiddler Natalie MacMaster. 8pm. San Carlos Street at Ninth Avenue, Carmel-by-the-Sea. $39-$59. The Earthtones stop by the Fernwood Tavern tonight for a night full of original rock n&apos;roll jams. 10pm. 47200 Highway 1, Big Sur. Free event. Explore one-of-a-kind homes in Carmel-by-the-Sea during the Cottages, Gardens, and Cantatas Home and Garden Tour today. The event organized by the Carmel Bach Festival is a self-curated tour featuring five stunning homes with unique architecture and artistic expression. 11am-4pm. Mission Street and 10th Avenue, Carmel-by-the-Sea. $35-$40. Love chocolate? Then you are going to love the Monterey Chocolate Salon at the Sunset Center. Chocolate aficionados, fanatics, lovers and addicts can taste and experience the finest in artisan, gourmet and premium chocolates from over 20 chocolate vendors.11am-5pm. San Carlos Street at Ninth Avenue, Carmel-by-the-Sea. $20 in advance and $25 at the door. 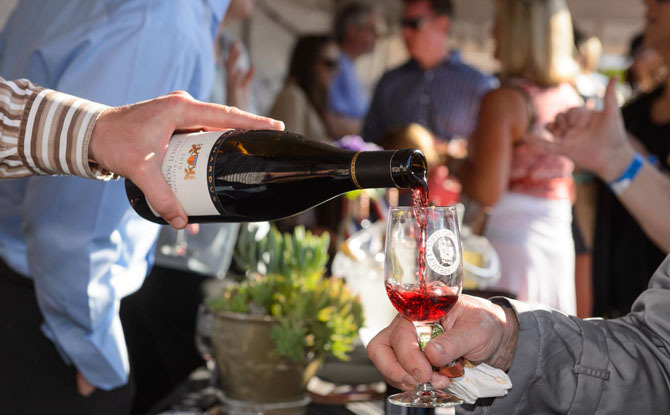 The 23rd Annual Winemakers&apos; Celebration makes its home on Dolores Street in Carmel-by-the-Sea today! Over 100 wines made in Monterey County will be available for sampling and guests will also have the rare opportunity to ask questions and discuss the wines with the winemakers themselves. 2pm-5pm. Dolores Street (between Ocean & 7th), Carmel-by-the-Sea. $95 for VIP, $65 for General and $35 for Designated Drivers. Food trucks take over the Monterey County Fair & Event Center today serving up all sorts of dishes and cuisines at the Monterey Street Food Festival. 12pm-5pm. 2004 Fairgrounds Road, Monterey. Free admission. Celebrate Derby Day with the Monterey Symphony today at the Pebble Beach Equestrian Center. The symphony&apos;s annual fundraiser benefits their "Music in the Schools" program and live streams the Kentucky Derby alongside tasty mint juleps, hors d&apos;oeuvres and a 3-course dinner. 3pm-8pm. 3300 Portola Road, Pebble Beach. $150. Head to Big Sur and check out the acoustic trio that makes up the McCoy Tyler Band. Their unique blend fuses elements of folk, bluegrass, blues and more. 10pm. 47200 Highway 1, Big Sur. Free event. Enjoy your afternoon at the Robinson Jeffers Tor House Spring Garden Party in Carmel. The annual event features live music, refreshments, plein air painters and tours of the Tor House and Hawk Tour with incredible ocean views. 2pm-5pm. 26304 Ocean View Avenue, Carmel. $15. The Junior Youth Orchestra performs "Discovery of Central Asia" at the Sunset Center today with 2015 Junior Youth Orchestra Concerto Competition winner Justin Vu. Highlights include works from Ippolitov-Ivanov, Borodin and Halmamedov. 2pm-3:30pm. San Carlos Street at Ninth Avenue, Carmel-by-the-Sea. $20-$30.